The M2M aka Internet of Everything market is developing quickly. It is interesting to see how analysts, vendors and journalists over the last few months collectively shifted from one big number to another – from number of connected devices to Big Data business potential for Internet of Everything. It is a sign of growing up that we leave the connection focus and huge abstract estimates on number of connected devices for a focus on data and information. Data is the gold of M2M and I’m pleased that the industry focus is shifting towards the information. 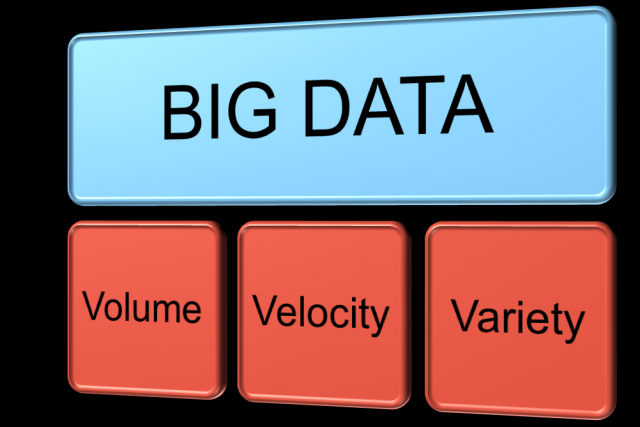 The industry loves buzzwords and in the M2M case we ended up in the Big Data bucket. ABI just estimated that Big Data and Analytics in M2M will generate revenues of $14 Billion in 2018. We are in the beginning of M2M aka Internet of Everything and organizations are starting to gather useful information from sensors and things. We see more open API:s and people have started blending the collected M2M data with other data to enrich the value of the information. But few if any are even close to a situation which Big Data is addressing. Most data collected in M2M applications are a couple of bytes from time to time. When mobile networks are used its predominantly tiny data in 2G networks, a lot of narrow band wireless sensors are used and when POTS is used it is typically a couple of seconds transmission. And it is not likely to change! Most of the data we are collecting from things are meter reading data, positions, status information, health data, times and so on. Nothing of that comes close to Big Data. But with big volumes of sensors and transactions we will rather need sophisticated decision support systems. So why are Big Data brought into the M2M aka Internet of Everything discussions? First and foremost people understand that focusing on number of connected devices isn’t interesting any longer and since the solutions and applications most often are industry, function or company specific it is really difficult to translate them into mind-blowing numbers. But by looking at it from a Big Data point of view new huge market numbers are the results. Secondly, as we become more data oriented the IT companies are getting involved in Internet of Everything. And since many of them are preaching the need for Big Data solutions it is easy to bring the “M2M stuff” into the Big Data story. I see a risk that the Big Data twist on M2M will make organization miss the ball in their own M2M efforts. Volumes, velocity and variety is not among the key issues in M2M projects today. It is too much too soon. In my experience the best approach is to get going, connecting a couple of things together with a relevant specialist M2M Service Enabler who has most of what is needed already. That way we will learn rapidly from real-time data in our own business and the trials are rapid and affordable. Then its quite easy to see what data to collect from which sources and step by step develop the collecting, management and distribution of data for maximum value to the organization. It is only when the information appears in business systems, business processes, decision-making systems or user applications that the value is realized. We simply don’t need any Big Data methods or solutions for this. It is obvious though, that sooner or later, especially if streaming data is involved, organizations will have a lot of data to process. And M2M applications will of course increasingly add to these systems down the road. You are currently browsing the connectcompute blog archives for October, 2013.